InvestorCentric: Is The Treasury Lying About HAMP Numbers? Is The Treasury Lying About HAMP Numbers? The extremely low redefault rate for HAMP permanent loan modifications of 1.7 percent is being challenged as inaccurate. Paul Jackson points out that the reason for the misleading number is that HAMP permanent modifications are canceled in the event of non-payment. See the following post from The Mess That Greenspan Made. Like some of you, perhaps, I looked at the as tonishingly low redefault rate for HAMP graduates as reported last week and just kind of scratched my head wondering how people with a median total debt service that consumes a full 64 percent of their gross income could possibly survive more than a few months or so. 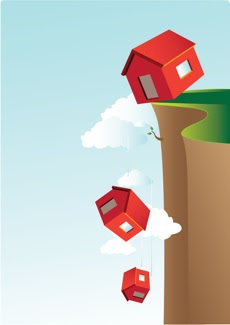 Well, apparently, the freakishly low 1.7 percent redefault rate for HAMP permanent loan mods is not what it seems – Paul Jackson over at Housing Wire provides all the details in this report. At HW, we chose not to run with the HAMP redefault numbers except to note that Treasury officials had added them into the latest report card. And this choice was made with purpose: we knew these numbers were fake. Nobody gets a 1.7% redefault rate 6 months after modification –- not even Uncle Sam — and any media outlet reporting that number with a straight face quite simply doesn’t understand the industry it’s covering. The only way to come up with a 1.7% redefault rate is to change how redefaults are calculated. And that is precisely what our government did. In the report card, buried in a footnote, is the following disclaimer: “a HAMP permanent modification is canceled for non-payment if it is more than 90 days delinquent.” It’s also apparently removed from redefault calculations, which is a great way to smear a pig in a mountain of lipstick and hope nobody notices. The researchers at Barclays Capital were among the few paying attention to this footnote, and took the unprecedented step of issuing a separate research alert on the HAMP numbers last week, highlighting what they called “misleading” reporting by Treasury on HAMP mod performance.